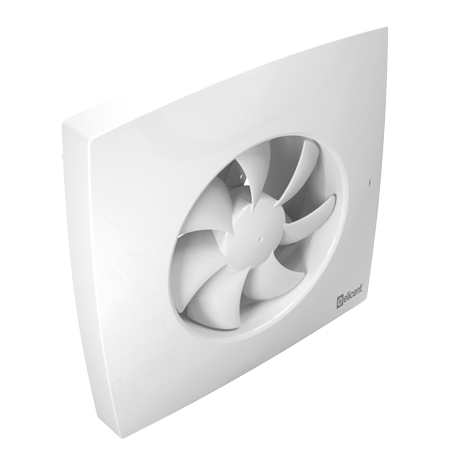 E-MAX is the innovative modulare and universal axial fan, multi-tension (110-240V 50-60Hz) and provided with 3 outlets of Ø80 – Ø100 – Ø120 mm in a unique fan. Extremely compact and with an ultra-slim profile, it is also available with a front grille. E-MAX is proposed in 5 versions designed to meet the most advanced comfort needs and to offer a maximized ventilation experience. 24 hours running at low speed (selectable between 2 at installation). Speed boosts to maximum via control switch (light or remote). The maximum speed is provided with a timer (adjustable from 0 to 30 minutes) which activation can be delayed up to 2 minutes to avoid unnecessary night-time operation at the highest speed. (DT/Delay Timer function, selectable at installation). 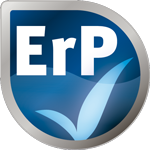 Automatically via humidistat (adjustable from 45 to 85% of R.H). 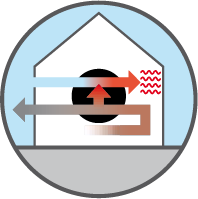 The fan speed increases/decreases according to the humidity level detected above the pre-selected threshold. 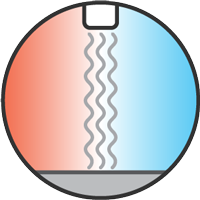 It then switches back to the minimum speed when the humidity level goes beneath the pre-selected threshold and once concluded the pre-selected overrun via timer (adjustable from 0 to 30 min). via control switch (light or remote). The fan boosts to maximum via the manual switch and goes back to the low speed once concluded the pre-selected overrun via timer (adjustable from 0 to 30 min). 24 hours running with minimum and maximum speeds both adjustable. The operation is similar to the MHY version. In addition, the fan is provided with the DT/Delay Timer function (see E max 2V DT). an intermediate speed which will adjust automatically according to the minimum and maximum speeds selected. a sleep mode function that excludes the timer and humidistat functions for a period of 8 hours, preventing night disturbance.